Frequently asked questions about Portland Book Festival (formerly Wordstock), presented by Bank of America. Q: WHEN will the next Portland Book Festival take place? Portland Book Festival will take place on Saturday, November 9, 2019. More information will be available in fall 2019. Q: Wait, the what festival? I was looking for information about Wordstock. The Portland Book Festival is same festival you knew and loved as Wordstock, just with a new name! For more information on the name please change, read this blog post. Q: When can I find out which AUTHORS are coming? The 2019 lineup will be announced in early September 2019. Subscribe to our monthly e-news and continue to check online for the latest news! Click here to view the 2018 Festival guide in full view. Q: WHERE is Portland Book Festival being held? Portland Book Festival will take place on the South Park Blocks in and around the Portland Art Museum (PAM), with additional stages at the First Congregational United Church of Christ, The Old Church, Oregon Historical Society, and three of the stages of Portland’5: the Brunish Theatre, the Winningstad Theatre, and the Arlene Schnitzer Concert Hall. Writing workshops are held at the Northwest Film Center. Q: How do I GET TO Portland Book Festival? Portland Book Festival attendees are encouraged to walk, bike, or take mass transit to the festival. Trimet has a useful trip planner here. If you are traveling by car, you can find directions at PAM’s site here. The museum/festival does NOT have a dedicated parking lot, but lot and street parking are available throughout downtown Portland. Supplemental bike racks will be available. To plan a trip to Portland, visit travelportland.com for information on travel specials and hotel offers. Q: How much does it COST to attend Portland Book Festival? Information from 2018, subject to change: Admission is $15 in advance / $20 at the door. Admission is free to attendees 17 and under (or with a valid high school ID). Paid admission includes a $5 book voucher redeemable at the book fair the day of the festival. Q: I PRE-ORDERED my festival pass. Where can I pick it up? Information from 2018, subject to change: Advance pass buyers, including youth free passes, can pick up their wristband and book voucher at the festival box office which will be in a tent at SW Park Avenue. NEW for 2018, advance buyers can pick up passes at the Portland Art Museum on Thursday, November 8 between 11:00 a.m. and 1:00 p.m. or Friday, November 9 from 11:00 a.m.-1:00 p.m. and 4:00 p.m.-6:00 p.m. Festival day, pick up or purchase passes at the box office on SW Park Avenue in front of the Portland Art Museum before entering any festival venues. Advance passes are $15 and include a wristband for entry to all festival events and every paid pass includes a $5 voucher for the book fair. Please note: ALL attendees must pick up a wristband before entering any festival venue. We recommend you arrive at least thirty minutes prior to the first event you want to attend to visit the box office and pick up your wristband. Purchasing your festival pass in advance will speed up this process. Also note: You CAN pick up advance purchase passes from the box office on someone else’s behalf, or vice versa. Q: I want to BUY a pass at the festival. Where do I do that? Information from 2018, subject to change: Passes can be purchased in advance online ($15 adults, free for youth 17 and under) or on site day the day of the Festival ($20 adults, free for youth 17 and under). Attendees will receive a wristband at the Festival that allows entry to all festival events and a book voucher for paid passes. Day-of passes sales are at the box office in the tent on SW Park Avenue. PAM’s regular box offices will not be selling festival passes. There is one festival box office location. Q: I am 17 YEARS OR YOUNGER AND/OR A HIGH SCHOOL STUDENT and I get free admission. Do I need a pass? Information from 2018, subject to change: Yes, ALL attendees, including youth, need a wristband for entry. Youth receiving free admission will need to pick up their wristband at the box office in the tent on SW Park Avenue. Free youth passes do NOT include a book voucher. Please note: ALL attendees must pick up a wristband before entering any festival venue. We recommend you arrive at least thirty minutes prior to the first event you want to attend to visit the box office and pick up your wristband. Reserving your festival pass in advance will speed up this process. Q: I registered for a WORKSHOP. Where do I get my wristband? Information from 2018, subject to change: Workshop students will pick up their wristbands at the registration booth at the Northwest Film Center. They do not need to go through the box office. Admission/wristband is included in the price of the workshop for students who registered for a workshop before the festival day. If they would like to attend the festival prior to their workshop they can stop by that table at NWFC and pick up their wristband, and then return for the workshop. Students taking the free youth or free teacher workshops at PAM do NOT need check in at the NWFC. All free workshop attendees DO need to have a festival pass. Q: I am a VOLUNTEER. Do I need a pass? Where do I pick up my festival pass? Volunteers receive free entry to the festival in exchange for volunteering. All volunteers will check in at the volunteer registration tent on SW Main Street by PAM’s Mark Building before their shift begins, where they will receive a wristband and information about their volunteer assignment. For questions about volunteering, email volunteer@literary-arts.org. Q: Do I need a TICKET for each Portland Book Festival event? Information from 2018, subject to change: Your festival wristband admits you to ALL festival venues and events, and there are no additional tickets required for individual events during the festival day. Note that your pass is to the festival itself, which features over 100 events, and does NOT guarantee entry to any individual event. Please note: ALL attendees must pick up a wristband before entering any festival venue. We recommend you arrive at least thirty minutes prior to the first event you want to attend to visit the box office and pick up your wristband. Purchasing your pass in advance will speed up this process. At all venues and all events, entry and seating is available on a first-come, first-served basis; standing in line does not guarantee entry. Rooms will be cleared between sessions, meaning all attendees will be required to exit the venue and will not be permitted to remain in their seats for the next session. If they would like to attend the next session at the same venue they must exit, join the line, and re-enter. No one will be admitted to a full event session unless another attendee leaves that session. Q: Can I STAY at one stage all day? For safety reasons, rooms will be cleared between all events; to attend the next event at the same stage, you will need to exit the venue and re-enter. This policy allows us to keep to the fire code/capacity for each room. We apologize for any inconvenience and appreciate your understanding. Q: Are festival venues and stages wheelchair accessible? Where do I find more information about venue ACCESSIBILITY? Q: How do I find out which AUTHORS will be the festival? The 2019 lineup will be announced in early September 2019. Subscribe to our monthly e-news and continue to check online for the latest news! Q: Will the festival authors SIGN BOOKS? Yes! Most authors will sign immediately following their on-stage event, unless otherwise noted. Books must be purchased from a festival bookstore in order to be signed, with the exception of one pre-owned book per author. Why do we restrict pre-owned books? On site book sales are absolutely critical to the success of the festival. By purchasing books at the festival, you support the amazing independent bookstores that partner with us as well as the authors and publishers who travel from near and far to share their work at the festival. Thank you for your support and understanding of this policy. The festival is delighted to feature satellite bookstores to all festival stages (with the exception of the Arlene Schnitzer Concert Hall), where attendees can purchase a book and get it signed on site. Authors will sign books immediately following the end of their event. Remember: your $5 voucher is good at any vendor at the book fair! All books purchased at the festival, through the Powell’s, Broadway Books, Annie Bloom’s, or Green Bean bookstores, or at any of the book fair vendors, support the authors and publishers who travel from near and far to share their work at the festival and the booksellers and vendors who invest time and expense to be at the book fair. Literary Arts asks attendees to respect and follow this policy. Please buy early and often and know you are supporting the sustainability of the festival. Book dealers are NOT allowed to bring books into the book signing area. Dealers with rolling carts and/or wagons are not allowed on the festival grounds. Q: Will there be a BOOK FAIR at the festival? How do I sign up? Yes! The book fair will represent some of the best of Portland, Oregon, and Pacific Northwest plus national publishing, writing, literary culture, academic opportunities, and more. Full-price admission to the festival will grant each attendee a $5 book voucher that they can redeem only at the book fair that day. Portland Book Festival offers exhibitors the opportunity to reach thousands of book lovers ready to buy their products or learn about their services. Applications to exhibit are now open. Please visit our exhibiting page for more details. Q: How do I redeem my BOOK VOUCHER? A full-price festival pass includes a $5 book voucher. Festival book vouchers are non-transferrable, cannot be exchanged for cash, and are limited to one per attendee. For example, you could use your one $5 voucher toward the purchase of a $15 book, but you could not purchase a $15 book with three vouchers. Vouchers are redeemable only on festival day at the book fair at the Portland Art Museum. All festival vendors accept vouchers. Vouchers will be distributed to attendees at the point of ticket purchase or at will call pick up. Vouchers are not redeemable for cash and are limited to one per person. Q: Will there be WRITING CLASSES at the festival? Yes! Writing class registration includes your festival admission and a book voucher. Class offerings will be announced in early September 2019. Q: How do I submit a WORKSHOP PROPOSAL to the festival? Portland Book Festival writing classes are curated by the Director of Programs for Writers, Susan Moore. If you are interested in teaching at the Festival, send a proposal to susan@literary-arts.org. Q: Is there a festival HASHTAG? How do I find the festival on SOCIAL MEDIA? There is a hashtag! It is #PDXBookFest, and look for Literary Arts on Instagram, Twitter, and Facebook. Q: I’d like to WRITE ABOUT the festival. Whom do I contact? Please send all Portland Book Festival-related press requests to Alyson Sinclair. Q: I’m a publishing industry professional interested in sending my author to Portland Book Festival. Whom do I contact? Please refer to our book submission guidelines here. Submissions for the 2019 festival will be open until June 7, 2019. Q: I am a writer. Can I present my work at the festival? Invitations are issued at the discretion of the festival director, who creates the program well ahead of each festival. Literary Arts receives hundreds of submissions from publicists and authors wishing to present at the festival. Note that the festival focuses on discussion and conversation among writers/artists, and does not include single-author events. Events are interviews or “in-conversation” style and moderated panel discussions. We welcome your suggestions, but due to the large volume of unsolicited submissions received, Literary Arts is unable to respond to every submission individually or to return materials sent for consideration. To submit a book to the Portland Book Festival, please refer to our book submission guidelines here. Q: I am a writer. Can I present my work to publishers during the festival? While publishers do attend the festival, the festival is NOT the appropriate avenue to present your book to publishers. Publishers who are attending are either selling books at the book fair, are audience members, or are involved in specific events discussing books and authors who are already published. We recommend that you approach publishers through the usual channels, either by submitting your manuscript directly or by engaging a literary agent. Q: Can you put me in touch with an author on the program? For privacy reasons, we are not able to pass on contact details for authors presenting at the festival. We also cannot pass on messages. The best way to contact our guest authors is through their publisher or agent, or through the contact information on the author’s website. Q: How do I sign up to VOLUNTEER for the festival? Thank you! We couldn’t pull this off without our amazing volunteers. Please check out our Volunteer Info page for all the details. Q: How do I become a SPONSOR of the festival? Inquiries related to corporate sponsorship may be sent to our Development Manager, Chelsea Querner, at chelsea@literary-arts.org or by calling 503-227-2583 ext 118. Q: How do I DONATE to Portland Book Festival and Literary Arts? Pledge your support to the festival by donating to the Literary Arts general fund through our website and adding “Portland Book Festival” to the order notes. Questions about donating may be sent to our Director of Development and Marketing, Lydah DeBin, at lydah@literary-arts.org or by calling 503-227-258 ext 106. Q: What is “Lit Crawl®”? By partnering with a variety of organizations, each Lit Crawl® bolsters the local literary scene and captures its city’s unique flavor—all while getting book lovers and revelers alike drunk on words. Lit Crawls® now take place in San Francisco, New York, Austin, Seattle, Iowa City, Los Angeles, London, Helsinki, and Portland, with more cities in the works. Learn more at Litquake.org. Information about 2019 events will be available in the fall. Q: When and where is Lit Crawl® Portland 2019? Lit Crawl® will be the evening of Friday, November 8, 2019, in venues throughout downtown Portland. More details to come in the fall. Q: How do I and/or my organization find out more about proposing an event for Lit Crawl® Portland? Lit Crawl will begin accepting proposals for 2019 in the summer. Email portland@litcrawl.org with any questions. Q: What is the best way to stay informed of Portland Book Festival UPDATES? Subscribe to our monthly e-news and continue to check online for the latest news! Follow our hashtag #PDXBookFest on social media. Q: What is the anti-harassment policy? Literary Arts has a zero tolerance policy for harassment of any kind, including but not limited to: race, color, national origin, gender, gender identity, gender presentation, sexual orientation, age, body size, disability, appearance, religion, citizenship, pregnancy, marital or familial status, military or veteran status. Harassment includes but is not limited to: stalking, verbal or physical intimidation, offensive verbal comments, physical assault and/or battery, harassing or non-consensual photography or recording, bathroom policing, inappropriate physical contact, unwelcome physical attention. Literary Arts recognizes that reading and writing, by their nature, include exposure to controversial and challenging ideas. Therefore, harassment does not include respectful disagreement or critique in good faith. This policy extends to employees, vendors, independent contractors, event attendees, presenters and speakers, and seminar workshop or class participants. This policy covers all events at Literary Arts as well as events sponsored by or produced by Literary Arts in third-party venues. Literary Arts reserves the right to revoke, without refund, tickets of any event attendee or participant not in compliance with this policy; the right to remove from an event, seminar, workshop or class any attendee or participant not in compliance with this policy; and the right to cancel a contract with a vendor or contractor that is not in compliance with this policy. Any employee, vendor, independent contractor or event attendee who believes they have witnessed or been subjected to prohibited harassment or discrimination should report it immediately to a Literary Arts staff member, the Executive Director of Literary Arts and/or member of the Literary Arts Board. Q: What is Literary Arts? Established in 1984, Literary Arts is a nonprofit organization founded, inspired, and sustained by the likes of Ursula K. Le Guin and William Stafford, and has helped make Oregon more than a place with a bookish reputation. It is a comprehensive, nationally recognized cultural center for writers, publishers, readers, and lovers of thoughtful conversations. Literary Arts is home to the country’s largest literary lecture series, where speakers don’t read from their published works; instead, they share lectures and presentations that they’ve written specifically for Literary Arts or engage in unscripted onstage conversations with up to 2,700 people in a concert hall and thousands more public radio listeners across the state through a partnership with Oregon Public Broadcasting. 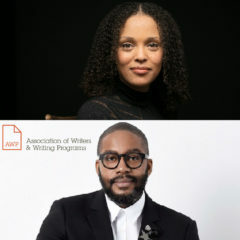 Literary Arts keeps literature democratic with more than 100 free community programs and events every year, connecting multiple generations and skill levels with renowned authors in public schools and spaces. The Writers in the Schools program hires working writers to teach and inspire local high school students. The Oregon Book Awards & Fellowships program awards $30,000 a year to transform Oregon writers into literary ambassadors who engage other Oregonians at workshops and readings across the state. Portland Book Festival (formerly Wordstock) builds community around literature through author events, workshops, a book fair, and more. Under the steady hand of an experienced scholar, readers explore demanding books in the discussion-based Delve Readers Seminars. Q: What if my question wasn’t answered here? If you have additional questions, please contact la@literary-arts.org.